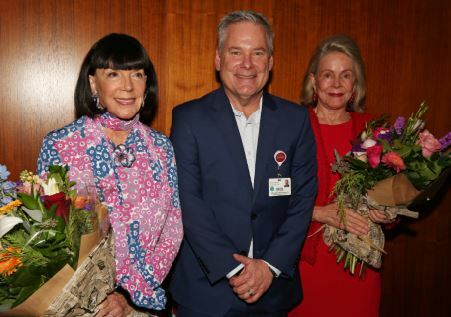 Artist Gayle Garner Roski, USC Verdugo Hills Hospital CEO Keith Hobbs and artist Kitty Keck spoke at a reception for the hospital’s Healing Arts Exhibition. USC Verdugo Hills Hospital relies on medical skills as it goes about the business of healing, of course, but it also acknowledges the power of art in pushing the process along. Hence, the hospital’s Healing Arts Exhibition. Now on its fifth art exhibition, the hospital held an opening reception featuring colorful illustrations by Gayle Garner Roski and iPhone art by Kitty Keck for a permanent display in the hospital near La Cañada Flintridge. Hobbs, Roski and Keck spoke on Sunday at the hospital to a large crowd gathered inside Council Rooms A/B for the reception. Earlier, Roski said in a telephone interview that the hospital had asked for help in getting the exhibition going and she mentioned she had illustrated the repairing of people’s knees by Operation Walk in Guatemala. The nonprofit, now known as Operation Walk Los Angeles, has performed more than 12,000 surgeries in more than 12 countries and has numerous chapters. Roski was used to taking photographs and creating paintings, but the Guatemala project was something new. Sandy Kobeissi and Analily Park are shown with Dr. Lawrence Dorr, a professor at Keck School of Medicine of USC and founder of Operation Walk. “Going to Guatemala wasn’t unusual for me, but I had never documented medicine,” Roski said. “That was my goal. After I’d done that I showed Dr. [Lawrence] Dorr” — Operation Walk’s founder — “and he said, ‘Let’s do a book.’ We did a book. 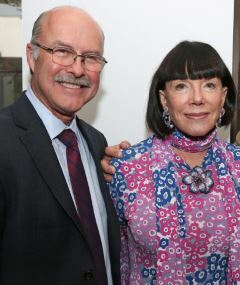 Dr. Paul Gilbert, medical director of orthopedic surgical services at USC-VHH, joins artist Gayle Garner Roski at a reception for the hospital’s Healing Arts Exhibition. Dr. Paul Gilbert, medical director of orthopedic surgical services at the Glendale hospital, is a La Cañada Flintridge resident featured in Roski’s book for assisting in the procedure with Dorr. 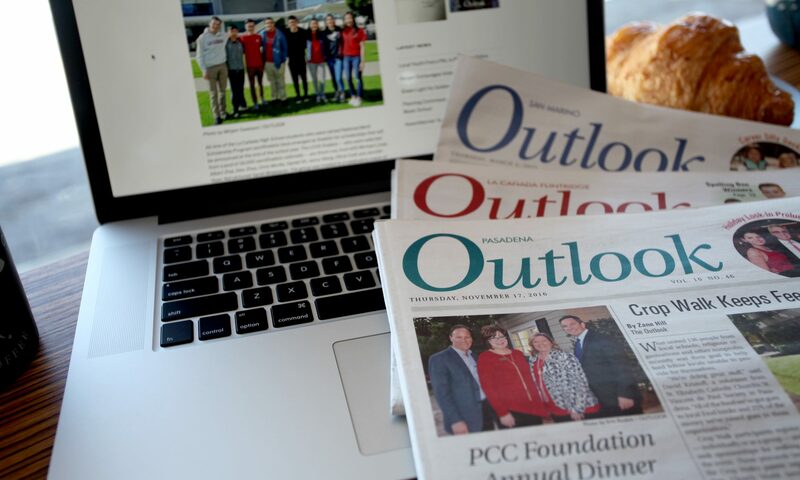 Gilbert told The Outlook that the healing arts program was important. The first hospital Healing Arts Exhibition was held in August 2017 with artist Vincent Takas. Sue Wilder, chair of the Healing Arts Foundation as well as USC-VHH’s Healing Arts Committee, said the program was conceived in September 2016 when the Keck School of Medicine of USC wanted to get art into all three of its hospitals. “It’s been proven art can enhance patients’ recovery and pain levels change,” Wilder said. She said she proposed having community artists from the LCF and Glendale areas in the first master meeting. Through various meetings and talking to different artists, it was determined there was an interest in local artists exhibiting their work. Next, Wilder said, was trying to find appropriate art for the exhibit. Keck, whose art in shown in other hospitals as well — she specializes in striking photographs taken on her iPhone and then enlarged — said she believed in the power of the healing arts program. Artist Marijane Hebert, who lives in LCF, previously showed her work in the exhibition, and her art is currently being displayed in a breast cancer center at the hospital. She echoed Keck’s thoughts.